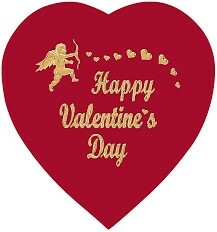 Give your sweetheart this "Happy Valentine's Day" Heart Gift Box filled with 1 POUND of our most delicious assorted sugar free chocolates & truffles. Your diabetic Valentine's Day candy was a huge success with my Mother! She told me that the candy was the best she ever had. Thank you for offering a product that she can enjoy and tastes as good.